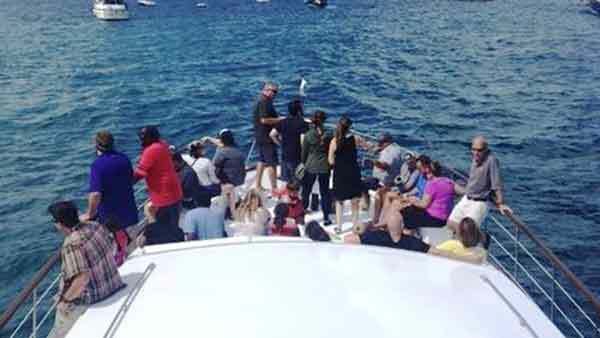 This is the easy way to get cruising on the Sophisticated Lady, Chicago boat rental. Just pick the kind of food you want served and your guests can select from many different food items. The Sophisticated Lady is Chicago's Largest 49 Passenger Yacht! 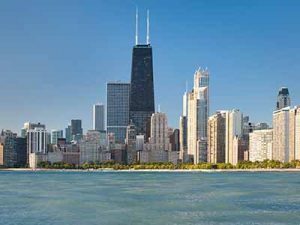 Located in the heart of Chicago, the Sophisticated Lady private yacht rental offers the largest cruise vessel in the 49-passenger boat category in Chicago. For a comparable price the Sophisticated Lady offers more cabin space, deck space, total square footage than any other yacht in its class. 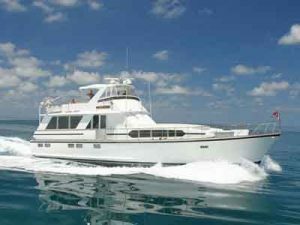 This 72 foot Chris Craft Motor, Lake Michigan Yacht rental can carry 49 passengers in style and comfort. Contact us today for your luxury Chicago boat rental. Experience Chicago from Your Private Yacht! What better way to impress clients or reward employees. 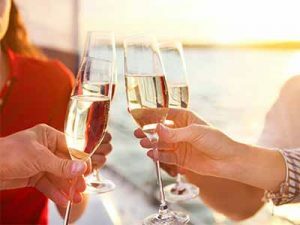 Call us and let us know what you want to do and we’ll make all the arrangements for your Chicago company yacht cruise! 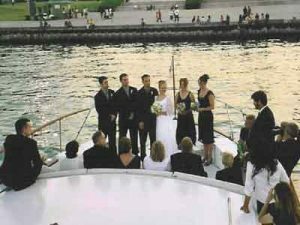 Getting married on the water will be a memory that your guests will talk about for years to come. Also, Bachelor/bachelorette, birthdays, anniversary’s are better on the water! Start planning your Chicago yacht wedding! 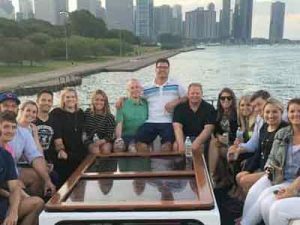 Whether it's a birthday, graduation, reunion, anniversary or any type of party, you don't need an excuse to throw a party on board Chicago's largest 49 passenger yacht! Get the party started on The Sophisticated Lady! Our all inclusive cruise packages make it easy to begin! Pick your type of menu and we’ll take you for a 3-hour cruise. All you have to do is show up! Learn more about our yacht rental services! Here are some great photos of the Sophisticated Lady and Events we’ve had on the yacht. 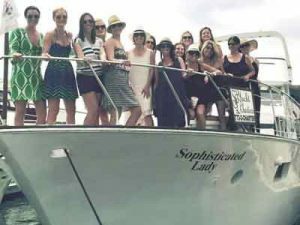 The Sophisticated Lady” is the perfect choice for smaller size parties looking for charter boats in Chicago. Take a Cruise on The Sophisticated Lady Yacht! Talk to us! Let us help you plan your event! Does your Phone number have an extension?